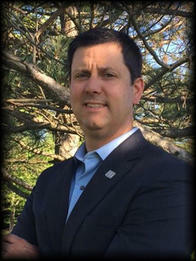 Scott is a vice president business banking relationship manager for Fifth Third Bank of Northeast Ohio. He has been with Fifth Third Bank since 2011 and started in banking 18 years ago. He has been working with commercial and business clients for the last 15 years and thoroughly enjoys working with business owners and their family to help manage their current and future goals. Scott takes the time it takes to fully understand where his clients are going now and into the future. Utilizing his knowledge and resources, he takes every measure to provide solutions that help his clients achieve tangible results and sustainable growth. Scott and his wife are proud to call Medina, Ohio home and feel blessed to be able to raise their twin teenage daughters in this amazing community. Scott enjoys DIY home projects, golfing, and hunting. He is also active in his community and is honored to be a board member of the Medina County Economic Development Corporation. Scott and his family enjoy giving back to the community in various service projects throughout the year.